November 25th, Saturday. Slept in til 9:00am. Had coffee and breakfast. 18 holes of golf at the Canadian. Get a new lifebird for Ottawa at Andy Haydon, just finished a glass of Crown Royal. All in all, a pretty good day. Not to mention 12 degrees and no snow. 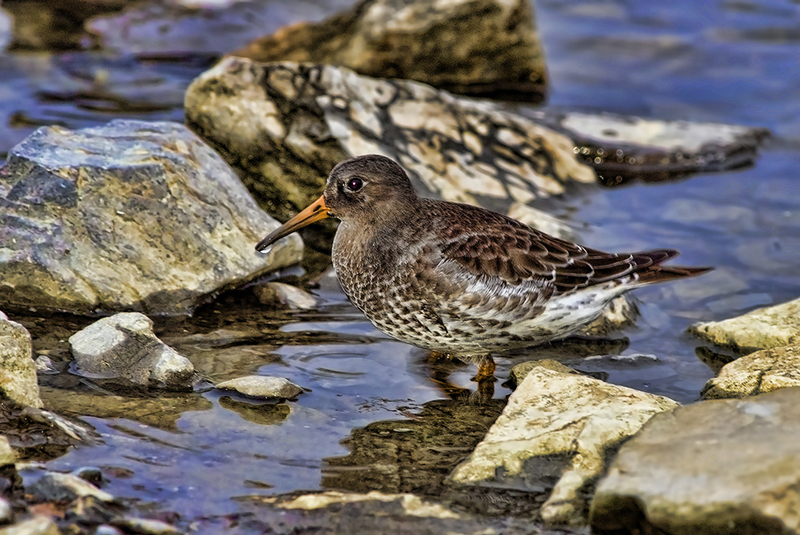 I rushed out tonite to photograph the very tame Purple Sandpiper at Andrew Hayden Park, got there at 4pm, very low light. Photo not the best, so ran it thru Topaz filter to add effect. 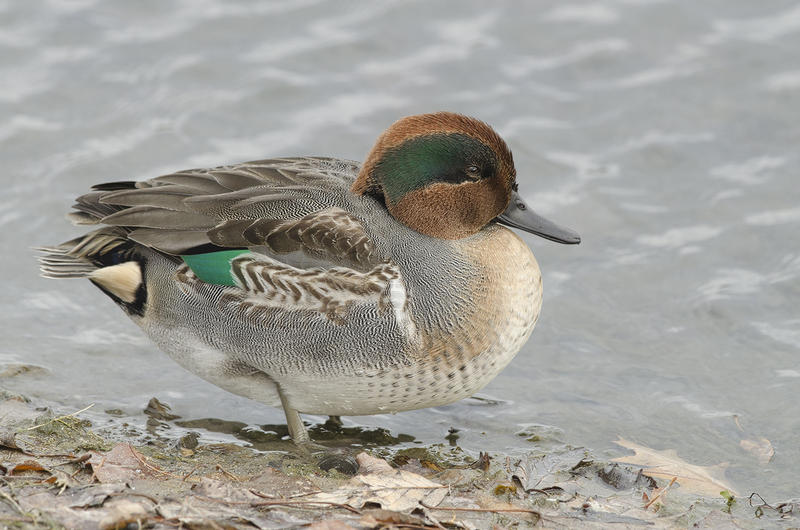 Green-winged Teal from this week from Andrew Hayden Park.